Santa has just over a week to write his letters to children before he joins Rudolph and co. for their annual round-the-world trip. This is a final reminder that if you haven’t requested your Letter from Santa yet please do – you have until 20 December – and in turn help us fight for every childhood with a suggested donation of £5. 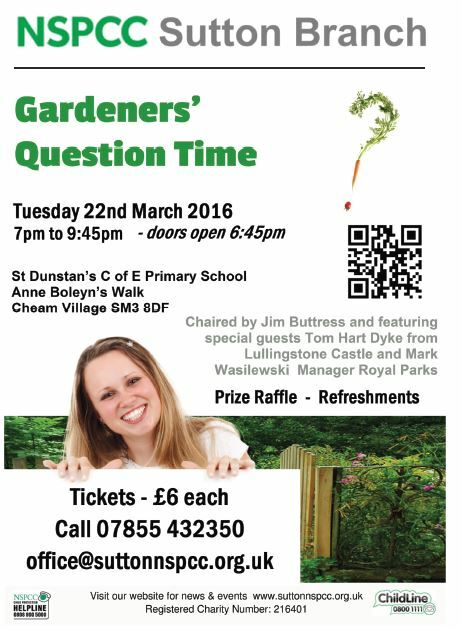 Fancy a challenge? 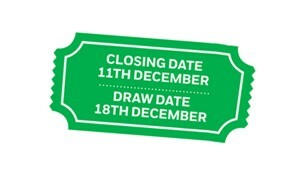 GCHQ have issued a Christmas brain-teaser and announced it will be asking players to make a donation to the NSPCC. 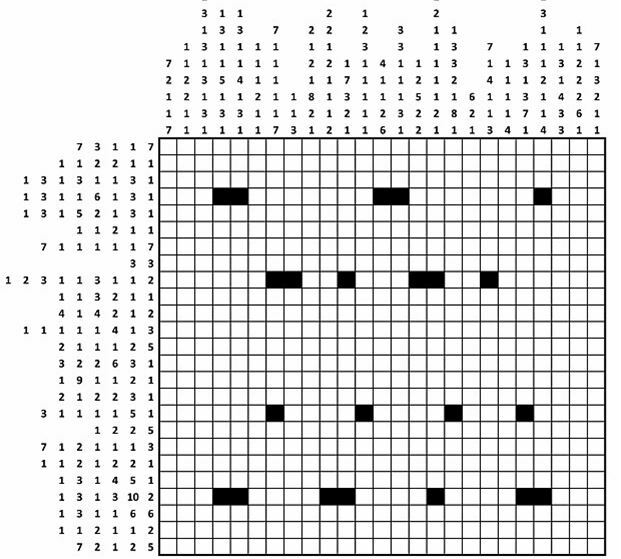 Director of GCHQ, Robert Hannigan, included a brain-teasing puzzle in his Christmas card which has also been published online. 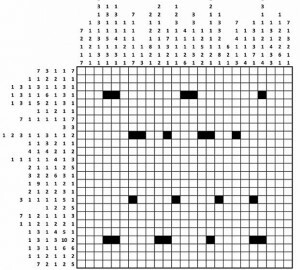 Participants have to fill in a grid-shading puzzle to unveil a picture, which is the first in a series of increasingly complex challenges. Coverage includes BBC, Daily Mail, Daily Express, and Daily Telegraph. Or, if you want something a little less challenging take part in our quiz, ‘How Christmas are you?’. There are over 50 prizes in total – so whether you buy the tickets yourself or sell them on to friends and family, this raffle really is too good to miss! 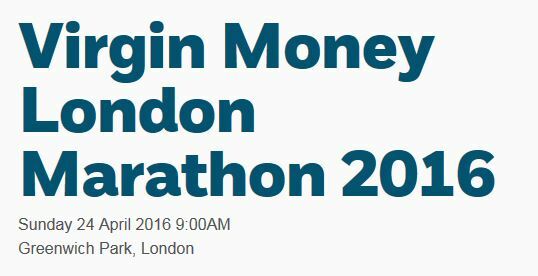 Every ticket you buy or sell will help us to protect more children and prevent abuse from ruining childhoods. Each ticket costs just £1. 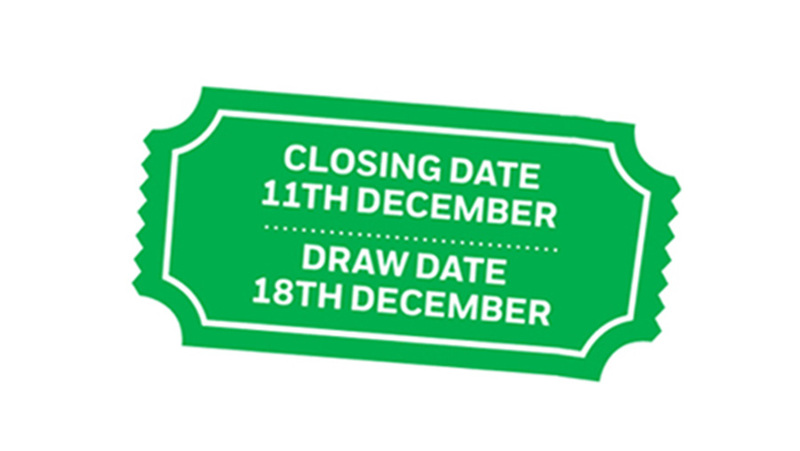 Draw date: Entry closes on 11 December 2015 and the draw takes place on 18 December 2015. 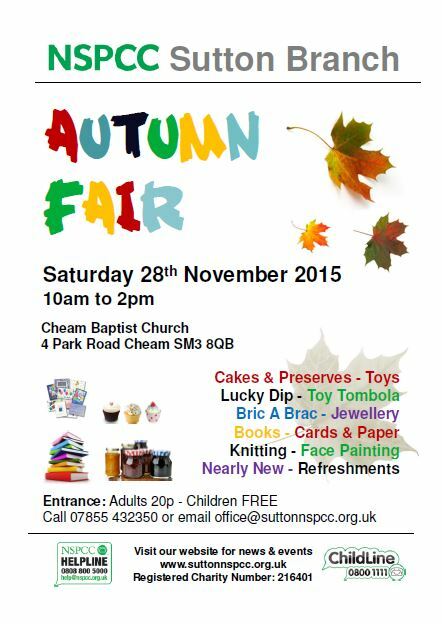 The Sutton NSPCC Autumn Fair is tomorrow, Saturday 28th November 10am to 2pm at the Cheam Baptist Church, 4 Park Road Cheam.